How is your Twitter game? Twitter is a fast-paced social media channel where you can create a profile for yourself, your business, your blog, or your brand. It's a place to tell your story through text & photos. Twitter is unique because it has a feed-style format with each tweet being only 140 characters or less. You have to articulate yourself quickly & effectively. I'm a professional social media manager & these are imperative tips to keep in mind when it comes to Twitter. Twitter is fast! Since the social media site is basically a feed, your tweet from an hour ago gets left behind. Your reader's Twitter is constantly updated & you don't want to be at the bottom of the feed. Make sure you're updating your Twitter multiple times during the day. Aim to send out at least five tweets per day. Not only is it important to update often, it's vital to tweet at the most optimal times for your readers. The peak times to tweet range from 8 am - 1 pm Pacific Standard Time. However, the optimal times differ per time zone. If most of your Twitter followers are based in the UK, factor that into your timing. Noon to 1 pm local time is always an optimal time to post. Tweeting with no hashtags is basically useless. Your tweets won't be relayed to those you are specifically trying to reach. Curate your tweets & tailor it to your audience. Start with a simple hashtag & then do a bit of research to see what hashtags people utilize. For example, do a Twitter search for #FashionBlogger or #SocialMedia & see what other hashtags are being used. If you want to tweet at optimal times or see which of your hashtags work, you have to know your target audience. 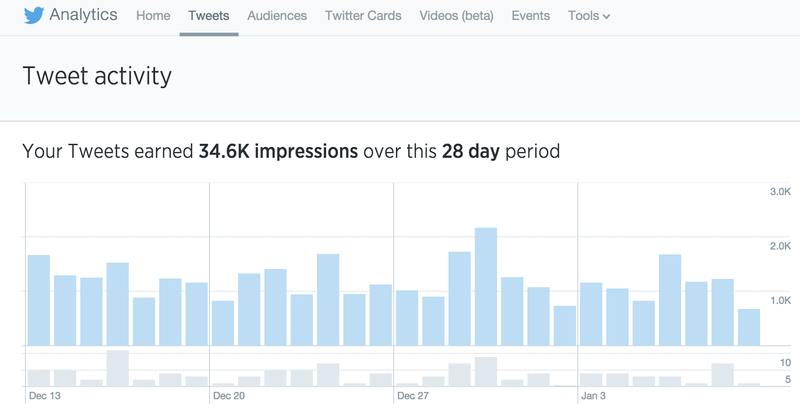 Take a look at your Twitter analytics & get to know it. Viewing your analytics can help you see which of your tweets do the best, how many impressions your tweets get, how many profile views you've received, where your audience is from, & more. The more information you have the better you will do. If you're too busy to consistently update your Twitter, scheduling your tweets is the way to go. As a social media coordinator, I don't have the time of day to create live tweets for every single client. I schedule several tweets out each day, taking into account the best time of day to post. Easy. Breezy. Effective. Twitter isn't only about self-promotion. Engage with your audience. Ask questions. Share posts & tweets that aren't your own. Reach out to your audience, engage them, & reel them in. You want to captivate your readers so they keep coming back whether it's for the relevant links to your blog or the cool quotes you retweet. Is your profile completely filled out? Write a short description, include your website, & please, please, please make sure you have a profile photo. The last thing you want is the generic egg profile picture. Your profile is the first thing people see, so make sure they can get as much information as possible from it. You may have seen that some people on Twitter have a nice little blurb with a photo under their tweets with links. You can get it too. A summary card can be used for a variety of content such as blog posts, news articles, products, & more. Simply add the sample code to your website. Here are more thorough directions. Set some time aside to favorite, retweet, & respond to other tweets. It shows that you aren't only trying to promote your brand & get attention. Favoriting & retweeting others benefits you because people are interested in who retweets them. In the end it will get you more exposure. Be genuine when it comes to favoriting & retweeting; find interesting tweets that you truly like to share. A while back I did a whole post on the importance of transparency when blogging but it's also important to be honest on social media sites. If you are paid to promote a certain product, you should add that into your tweet whether it's #Ad, #SponsoredPost or #AffiliateLink. If you want to be taken as a serious, credible source of information, you must develop an honest & transparent relationship with your readers. A simple Google search will give you a plethora of Twitter chat options, so you can figure out which would be a good fit for you & your blog. These discussions normally include a particular hashtag for Tweeters to use. Chats are the perfect way to get in touch with like-minded people, talk about similar topics, & find out new information. Set a goal to participate in one or two chats per month to begin with. This feature is awesome. Ask questions about your blog, what to post, what products people like, etc. Polling is a great way to get people engaged while also understanding more about your readers & users. It can be fun & quirky or educational & productive. It is what you make of it. Twitter allows you to pin one tweet to the top of your profile. This is the first thing people see when they browse your account. Pick your pinned tweet wisely, choosing something that your readers will find interesting or useful; I recommend pinning a link or a poll & changing the pinned tweet every two weeks. Remember to check back here often for more social media tips & tricks to improve your brand, blog, &/or business. You can always leave a comment, email me, tweet at me with any questions you may have. If it requires a lengthy response I may be inclined to write an entire post about it. Thanks for reading. Subscribe to my newsletter for social media tips directly to your inbox. Learn these tips before anyone else. these are awesome tips! I love hootsuite for scheduling tweets! Oh I am so glad to see this. I used to loathe Twitter - I think because I didn't know how to use it, really. But I have been using it more and more often to promote traffic and it works! However, I know I can do better. Fortunately, it looks like I am doing ok on most of the tips you listed, but I do need to take advantage of polls and pinned Tweets, so thank you for sharing! I loved reading this. 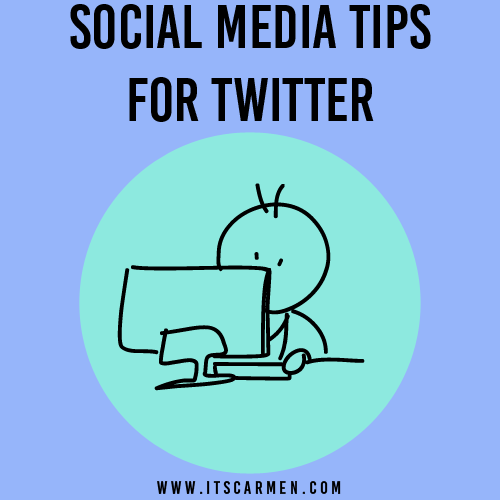 I think it's really going to improve my Twitter game :) Thank you for the wonderful tips! This is so useful Carmen! A friend of mine with a small jewellery business has asked me to set up a few things on social media for her and this has come just in time! Thanks for sharing your professional expertise! This is seriously so helpful, I am the absolute worst at Twitter, I feel like I am too old to understand it haha I definitely need to up my Twitter game and this is perfect! Thank you! Thanks for this amazing tips! Lately I've been trying to grow my audience in twitter and this tips will help me for sure!! Thank you Carmen! These are very helpful tips!!! Thanks so much for this amazing article. I sure learned a lot out of it. These are some really great tips. I'm not so good with Twitter. I go in phases and sometimes leave it alone for long periods of time...I should really pick it back up again and actually be consistent with it. Great tips. Thanks for sharing. I definitely learned some things. Yes! The polling and Twitter analytics...I did not even know about those options. My goal is to be more active on Twitter next monthe so I am happy to know about these features! Yes I did! I didn't know about the summary cards and which times are best for twitting. Oh! and you made me go straight to my twitter analytics to have a closer look at my clicks. May be you could explain how to participate in chats? 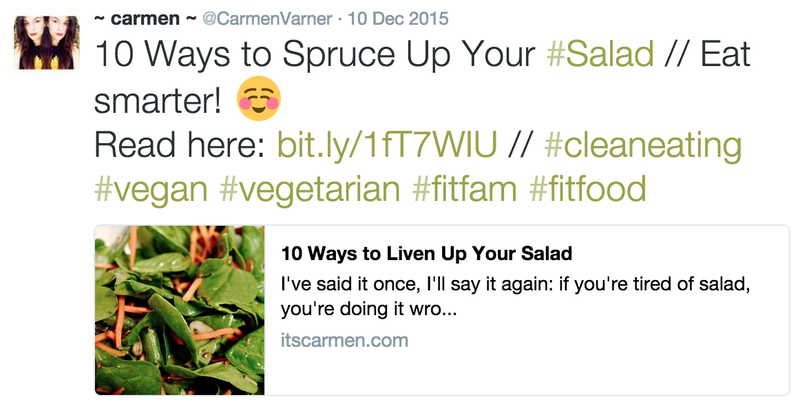 These are great tips Carmen! I actually don't use Twitter at all. 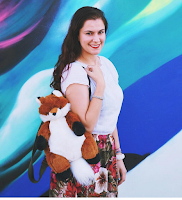 Do you recommend it for my blog and sharing my Instagram photos on Twitter? Or is it more for thoughts/texts? Would love to hear your thoughts! these are amazing tips! I need to try these! Yes, believe it or not, I am not that much of great user of social media and still navigating my way through it as I know how much it is important for my blog, so really anything about social media or how to grow your blog will be really helpful and please try to tell me anytime you post something like this. Nice tips! I've yet to try a group chat, but there was a big sporadic one I'd gotten into with "more popular" figures in my niche that helped my following grow a bit. Such great tips! Thank you for sharing. I really need to up my twitter game! Great tips! I've favourited this! Great tips! I'm useless with Twitter. Definitely don't use it to its full potential.